On 17th January 2013, London Victoria station was evacuated due to a Class 442 unit catching fire in the station at the start of the morning rush hour. The fire was extinguished and the station was partially re-opened within the hour. We don't speculate on the causes on such incidents. We believe the unit involved is 442410. 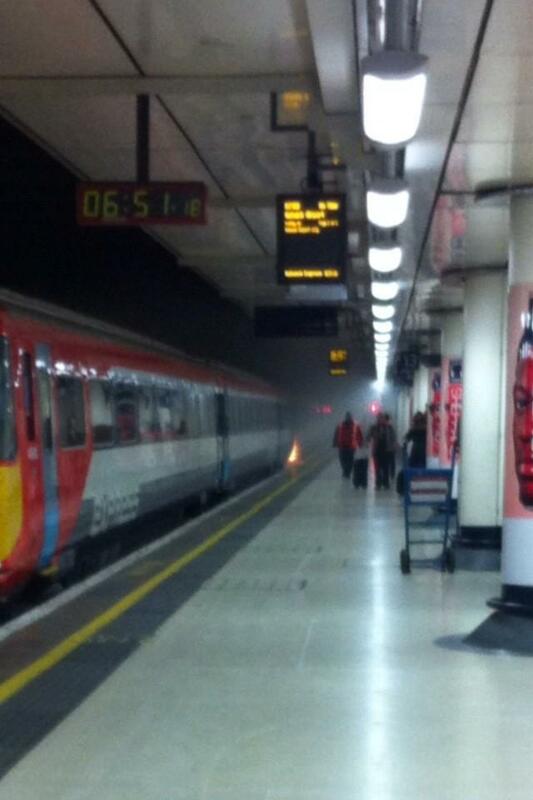 The photo below shows the 442 on fire on platform 13 at London Victoria station, 17th January 2013. This photo was taken on a mobile phone, hence the lower quality.